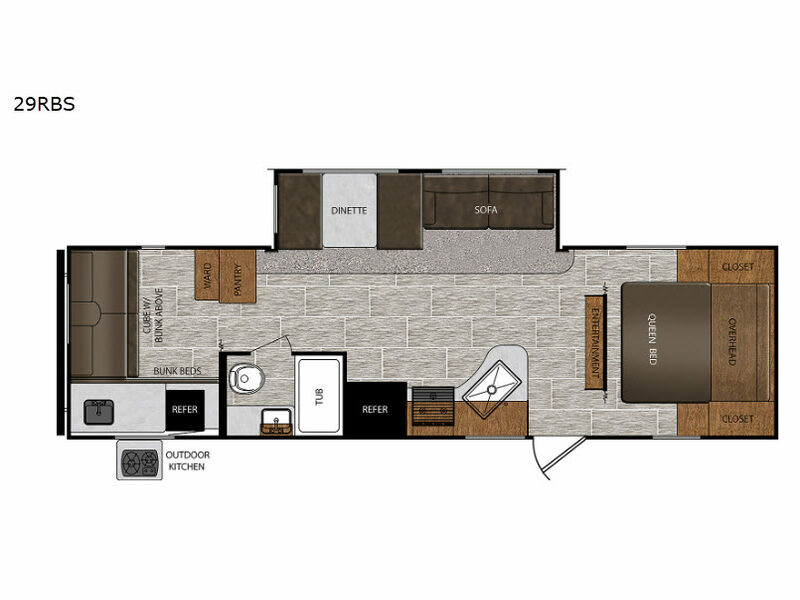 Your kids or grandkids will enjoy having a room all to themselves in this Avenger ATI travel trailer with the rear private bunkhouse. This unit features a large slide that adds plenty of space for a private bedroom in the front. The kitchen is fully stocked with a pantry, three-burner range top, and 17" oven, and the outdoor kitchen offers a second location to cook and serve meals to your family and friends.